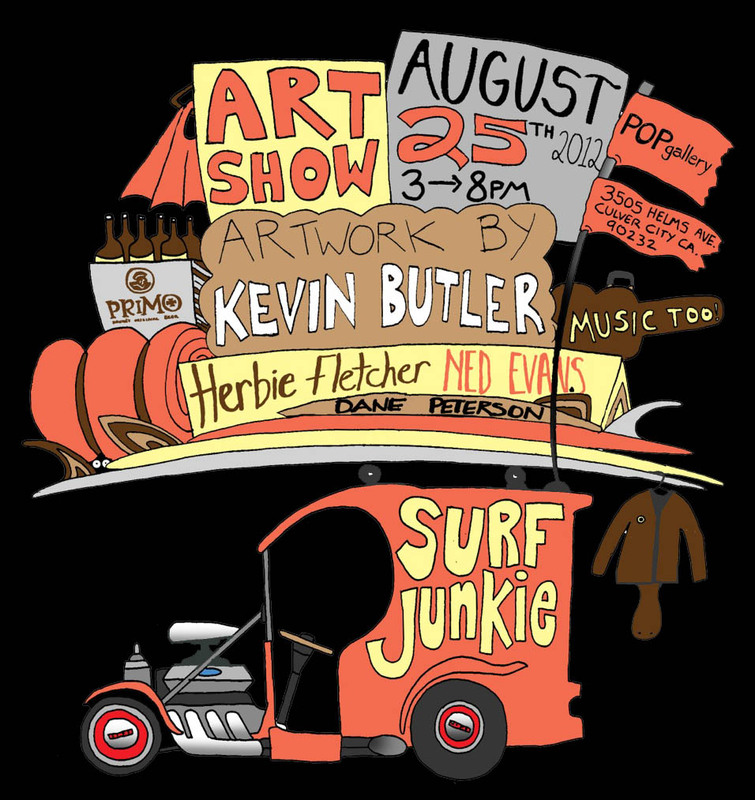 bonfirebeachkids: Surf Junkie at POPgallery...Opening reception, August 25th, 3pm to 8pm. Show runs through October 5th. Surf Junkie at POPgallery...Opening reception, August 25th, 3pm to 8pm. Show runs through October 5th. 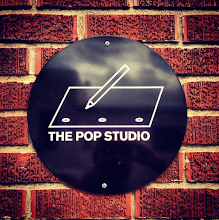 We are not interested in simply doing art shows at POPgallery. We enjoy producing installations with a narrative and deeper conceptual meaning. Our single goal is to inspire people and support the artists that inspire us...we do not operate the gallery side of our business for money. That's why we do not take a gallery fee, and 100% of the proceeds go to the artists. We also like to bring unexpected talent together, emerging and established artists across various mediums, and thus create an intersection of creativity, ideas, and ultimately, good energy. This show, like many of the shows we have produced before, have been born out of a personal connection with some of the artists involved, and thus this show revolves around the idea that in our coastal culture (including these friendships), we are obsessed with cool cars and the surfboards we throw on top. An emerging artist who I have been surfing with in Venice for the last few years is Kevin Butler. Kevin, who’s originally from Santa Cruz, will show more than 60 original illustrations of vintage cars with surfboards on them. Kevin’s work is quite amusing for humans of all ages, which is another tenant of our space...to put on shows that are inclusive and inviting for everyone vs. elite, stuffy and intimidating. Kevin has never shown his work before, so this will be his first professional relationship with the gallery wall. With this in mind, we love the idea of putting his work amongst some more established artists like Herbie Fletcher’s abstract “Archipelago” sculpture which spans more than 6 feet in circumference and Ned Evens’ larger-than-life painting, entitled “Ankone” which is 8 feet across. I have known photographer, Dane Peterson, since he was a little grom with a funny haircut. He still has the funny haircut, but his ability to shoot surfing images in an abstract way constantly inspires us. In a digital age, his obsessive use of film, and all the imperfections that come with it, is a breathe of fresh air. These four artists will come together in an environment charged by a common love of surfing. And from this spark, each artist will translate their vision in their own signature medium. Sculpture, painting, illustration and photography will intersect at their extremes. Ranging from the fluid and abstract to childlike realism, and in scale from the absurdly large to something delightfully small. A vintage 1956 356 Porsche coupe will occupy the center of the gallery space with surfboards of all era’s strapped haphazardly from its roof, to the rafters above. And our friends from friends from Santa Cruz to San Diego will be parking about 20 more rad cars with surfboards on them in the parking lot, and the street directly out front. There are too many makes, models and years to mention, but we can tell you that a ’68 Volvo 122 will sit in the same lot as Kevin’s own ’83 Volvo 240 DL. There will be BBQ style food all afternoon, our kids will be manning the lemonade stand, and the grown-up kids will be downing Primo beers to revolving DJ sets from Bumrocks and Buzztronics into the early evening. A price list will be available, upon request, from August 25th onward. Look forward to seeing everyone at the opening! Kevin Butler grew up around classic cars. His dad made a hobby of restoring old beaters into show-pieces. He’d buy some old POS on a Tuesday for a grand, strip it, paint it, the whole family would fall in love with it, then he’d sell it for some ridiculous amount to some guy to "had to have it". At any given time at the Butler house there'd be something rad under a tarp, something rad being painted in the garage and something rad to drive on the weekend. His parents drove him home from the hospital in a 56 Chevy 2-door Hardtop, So… guess that explains the car part. As far as the surf part goes… Kevin was fortunate enough to grow up a few blocks from the beach in Santa Cruz. He cleaned up shaping rooms and sanded boards at Peason Arrow when he was 13. And In high school him and a few friends of his started shaping their own boards. Being close the creation of boards, helped him to develop a real respect for the the craft. That’s the long answer. The short answer is Cars and Surfboards are Kevin's two favorite things on earth, so he put them together. Kevin Butler attended the Academy of Art in San Francisco to study illustration... but graduated with a degree in copywriting for advertising. It's a long story. He currently works as a Senior Copywriter at TBWA / Media Arts Lab, making ads for Apple. He spends his free time surfing... and drawing cars with surfboards on them. Click here, for a link to Kevin's site. Click here for Herbie's site. Born in Burbank, California in 1950, with an MFA from UC Irvine, Ned Evans has lived in Venice, California since the early 1970s. Working primarily in acrylics and on canvas, his work has been exhibited worldwide. While his work is unquestionably influenced by the southern California landscape, the contours and colors of the sea, surf, and sand, ultimately and inevitably, he is re-constructing and building edifices and foundations, on top of which exist the nuances of illusion and imagery. Click here for Ned's site. Dane spent the better part of his teenage youth on the beaches of Southern California, Malibu more specifically, surfing and living his dream. His skills in the water took him to many an exotic spot on this vast marble in space known as earth. Along the way some smart person put a camera in his hand and the rest is visual history. Dane's knack for capturing the essence of what surfing is to so many of us is top dog in our book. Whether it's a double page spread, a soft focused soul arch or just two bros sipping tall cans as the sun falls for the night, one can't help but feel as if they're are right there in the mix of it. Click here for Dane's site. Charles Adler, Randy Hild, Lauren Woodward, Shawn Wieland and the Lemonade Gang…Eileen, Lennon, Ever, Lake and Reza!